Thinking about dating a married man? Really? How disrespectful can you be about yourself. In the book, Side Chick, by author Pamela J. the issue is explored in a few stories of side chicks as she calls them. She doesn’t sugar coat her words, there are no rainbows at the end of each story. Only the ugly reality that one will face should she decide to start a relationship. In the first tale, there is lady name”Bee” who is in complete denial about her man, She comes to work, after having spent time with him, only to discover that he’s gotten married and moved to another state,. She’s heartbroken, the long term affair, over just like that. She looks back and realizes the red flags were there but of course, he loved her?Loved her so much he dumps her. What did he care, he got what he wanted. Worse yet, they worked together in same office and everyone was aware of their fling. In another story, a lady discovers her husband is cheating with a best friend, ouch, and takes a more violent approach. She and sidekick, who is not named, go after them in a hotel room and proceed to gun them down. Of course, she is arrested for her act of revenge. Personally, no man is worth that much anger and revenge. I would say keep your whore and diseases to yourself and get out of my life. Think more highly of yourself and look for better. You deserve it. Don’t you think? 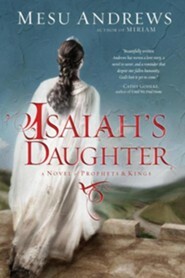 This book was give to me for an honest review and I am very happy to say the author did well. You rock Pamela J.
I want to let everyone know that I am doing well. My divorce was final in August of last year. I have learned to be content doing for me only, with no others to care for in my household, with the exception of my cat. Weird to do things like grocery shop and only buy for myself and not other family members. Choosing less to put in my cart and take home has been an adjustment. I am stronger now than I was. I knew I could manage on my own and I have. My small place is just right for me to clean and live in, I don’t get as tired from taking care to do household chores. Daisy, my cat, keeps me entertained and loved. Sundays I see my sons and enjoy their company. My ex and I are trying to set an example, being civil to one another. I’ve come to realize that divorce was the best option for us. He doesn’t love me nor does he need me. I am ok with that. God has a plan for me and I am patiently waiting to see the signs, the clues, to feel in my heart what He wants for me. Moving to a new country that you have never lived in before can be a huge culture shock. Not knowing the language, customs, and just everyday living can be a challenge. 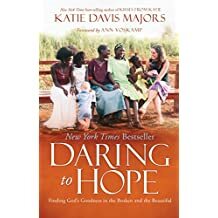 Well, for Katie Davis Majors, her challenge is in dealing with the hardships that come with the celebrations of life in Uganda. Mrs. Majors talks about the broken and how beauty can be found from it. You lose someone as she deals with from time to time but remember how life was enhanced by knowing them. It’s hard to let go of the ones we love, but we know they are in a better place, without suffering. Her faith makes her strong even when things don’t go as she wants them to. Her house is not real big, but her heart is huge and welcoming to those in need. God didn’t say life would always be fun and smooth, besides how can we learn to be stronger in our faith, and from mistakes that we make along the way. Discovering who you really can take time. And there are many ways to accomplish this. A road trip through national parks and remote places you may not heard of is how the author of We Stood Upon Stars find his true self. Both funny, serious and sentimental, Mr. Thompson does an excellent job of detailing his journey in finding his true self. For one, he learns that he can indeed make a repair on the van that is loyal in all the family travels. He then knows a skill that can be passed down to his sons. A triumph in his mind since he was constantly relying on a mechanic to do the work. Now, more confident, he knows that he work on the van and keep going forward. In Joshua Tree National Park, he learns that the landscape is alive and thriving. Even the rocks that form the many climbing walls for those who seek something a bit daring. Hence, Mr. Thompson is inspired to venture further away from where he was originally going. Rock climbing is not easy and neither is veering away from a familiar path and going someplace unknown. Mr. Thompson does this throughout the trip and finds that it’s refreshing to see what is out there that he hadn’t known about before. One of my favorite parts of the book is where our author is out surfing and somehow gets attacked by a crab. Now, this is both funny and not so funny as one can imagine the pain this poor man is in with a crab attached to his toe. He tries to get one of his sons to help but his child decides to run the other way. Roger is left to figure out to rid the crab and struggles for several minutes until he is finally free of the creature. Lessen here is that he has to rely on himself when there is no one around to help. And he does. I admit, I was laughing as I imagined him trying so hard to get the crab off his toe, the pained look and maybe a little disgust too. Each trip we take whether on the road, by air or boat, or even through experiences, we learn that we are going to be alright and that we are stronger than we think we are. I received a free copy of this book from Blogging for Books, Penguin Random House, in exchange for an honest review. Becoming an adult is not easy, after all being grown up means being responsible and learning to handle the rough patches in life as well as the fun times. God has inventive ways of directing us, doesn’t, He? English Lessons demonstrates one creative way to being an adult. Andrea Lucado spends time in England studying and while there she encounters people from all over the world. And they prove to be teachers without realizing it. For example, being comfortable with yourself is demonstrated among the British girls who are very relaxed with the way they dress and do their hair and makeup. For Andrea, she learns she doesn’t have to try so hard to prove herself a Christian to anyone. She can demonstrate this through her lifestyle and by being confident. Some of the students don’t believe in God but they seem to respect Andrea’s beliefs and consider her a friend. That may have come as a shock to her, but in real life we all must be accepting of one another even if we don’t always agree. Heavy stuff. And just the experience of leaving her comfort zone in Texas, proved that Andrea was ready to learn to take risks and learn from mistakes and victories she made. She also learned to live with less things in the small room she rented while in England, helping her realize that less is more. Experiences are more important than owning a dozen pair of whatever or having an overabundance of stuff. Andrea grew stronger and more confident in herself and she took those lessons with her back to the States. Mind altering chemicals coursing through the body causing artificial highs and guns blasting through bystanders and intended victims as an act of revenge or hate,sometimes death. 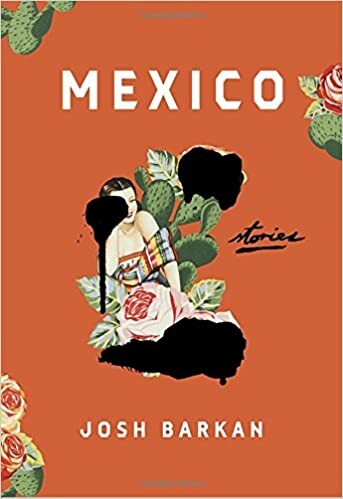 Raw, realistic stories about the drug culture in Mexico as told through stories by Josh Barkah. The effects of the drug culture are tragic, enticing young people to make fast cash at the expense of their own lives. Gangs becoming their families and support systems. Josh does not hold back the gruesome and sad results of being steeped the narcotics world. As demonstrated in one particular store where an artist is pretty much on the verge of losing his mind due to his neighborhood being gang ridden and his daughter being a user herself. He ends up killing the dealer who has sold her drugs and regrets is the rest of his life. Another story highlights desperation to leave the country to spare her son’s life so she makes a horrible choice and sleeps with an official who can grant her a visa. Drugs kill and so do the individuals involved with them. They don’t care if we live or die, they just want money and power. God’s profile is known by understanding the various names he is called. Cool. 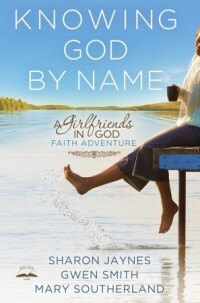 In the book, Knowing God by Name, by Sharen Jaynes, Gwen Smith, and Mary Southerland, we find out about God’s personality and true self. The Man is called a lot of names and this time it’s nice! The book dives deep and explains the reasoning behind the various aliases God himself has been called. For example, Yahweh Hosed, tell us that God does something many of us have a hard time doing: forgiving. The name Yahweh means, Hesed means “a steadfast rock –solid faithfulness “that never ends. (Taken from page 141) How many can say they have relationships like that? The big man forgives and never stops loving us. If we mess up, we don’t have to go into hiding from him. He finds us and then let us knows we are still awesome. Knowing God by Name offers opportunities to study the Bible at the end of each chapter, and a place to write one’s thought in established journal pages. The Girlfriends have succeeded again in writing a fantastic book, that anyone can understand, especially when they include their own life experiences. See that’s you can relate. Yeah, God is fantastic, and all the descriptions of him are right on! I received a free copy of this book in exchange for reviewing it.